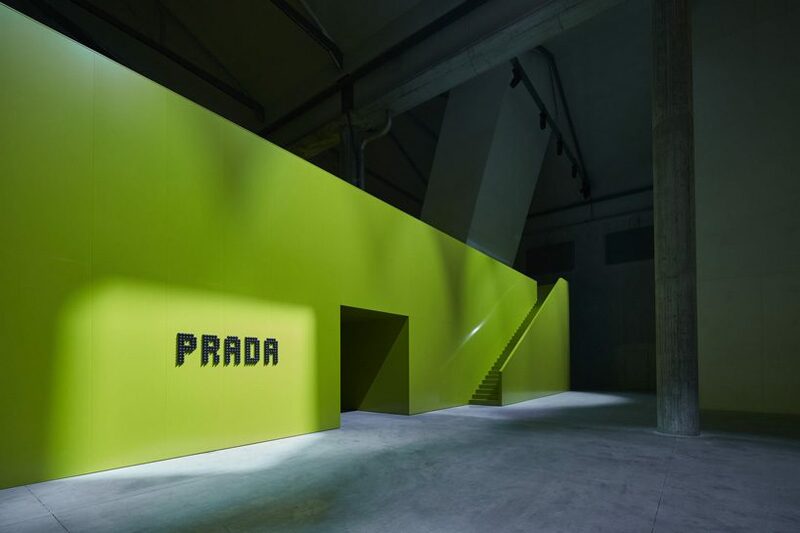 prada, founded in 1913 in milan, offers men's and women's clothing, leather goods, footwear, eyewear and fragrances and made to measure service. 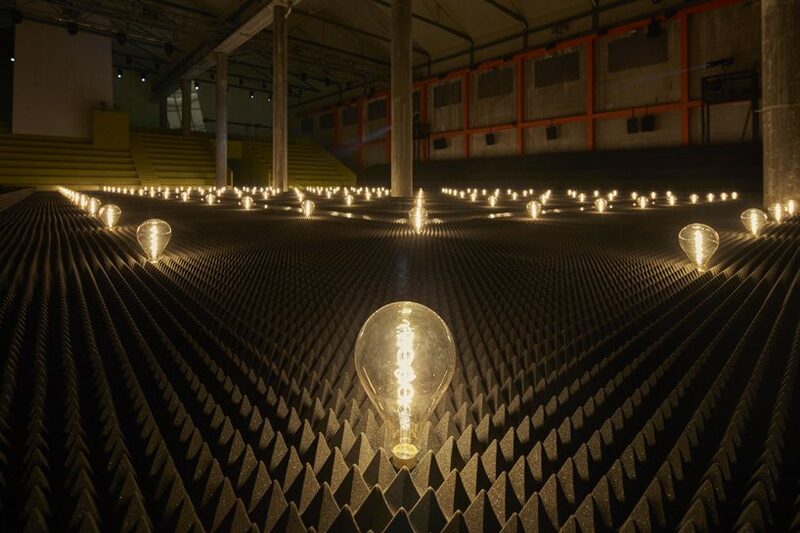 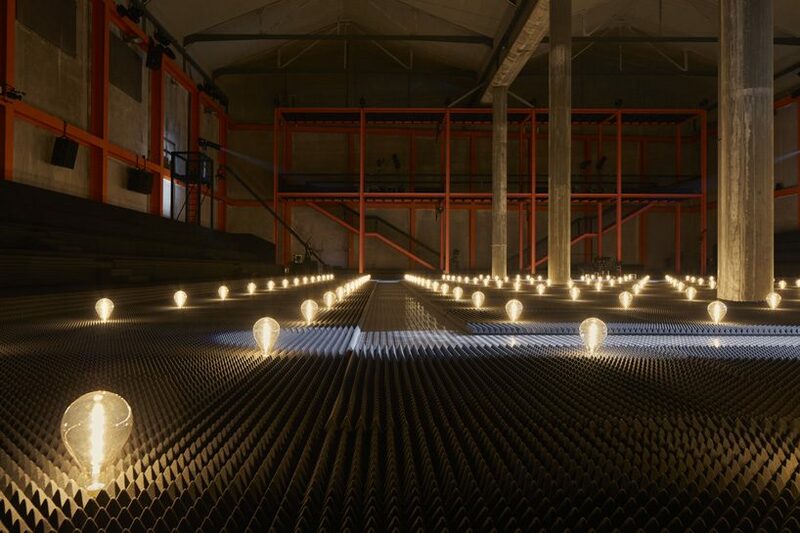 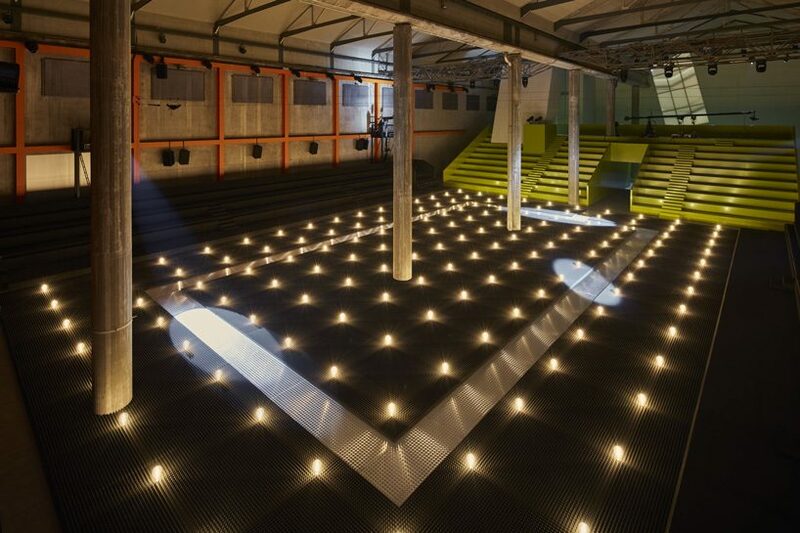 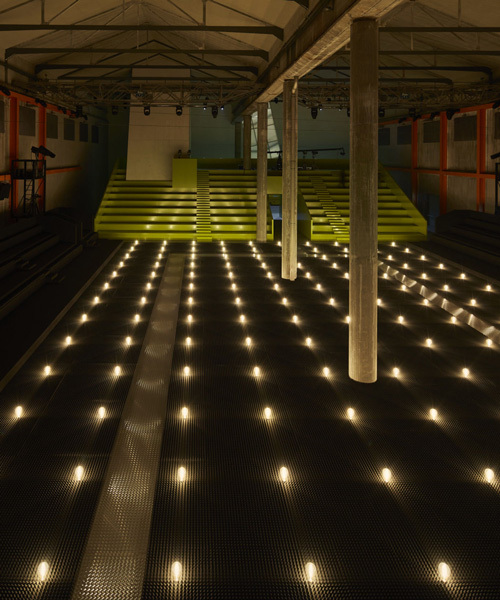 the fashion house has collaborated with a range of designers, including rem koolhaas' OMA/AMO. 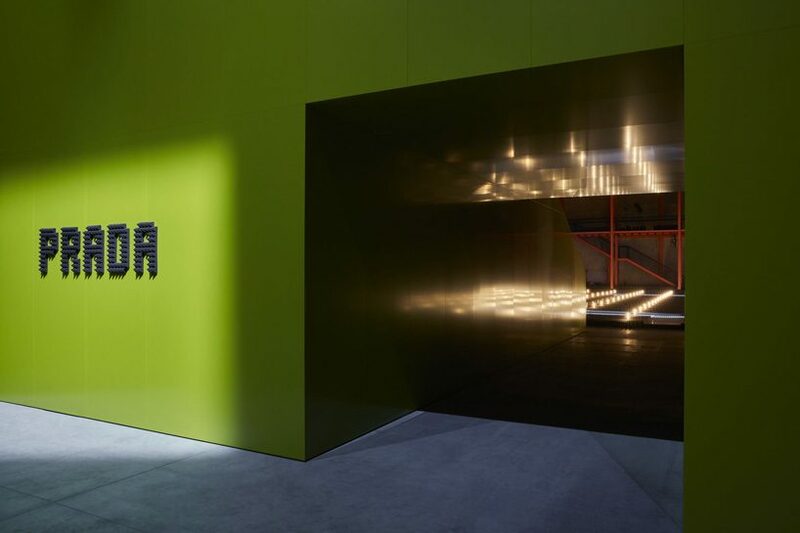 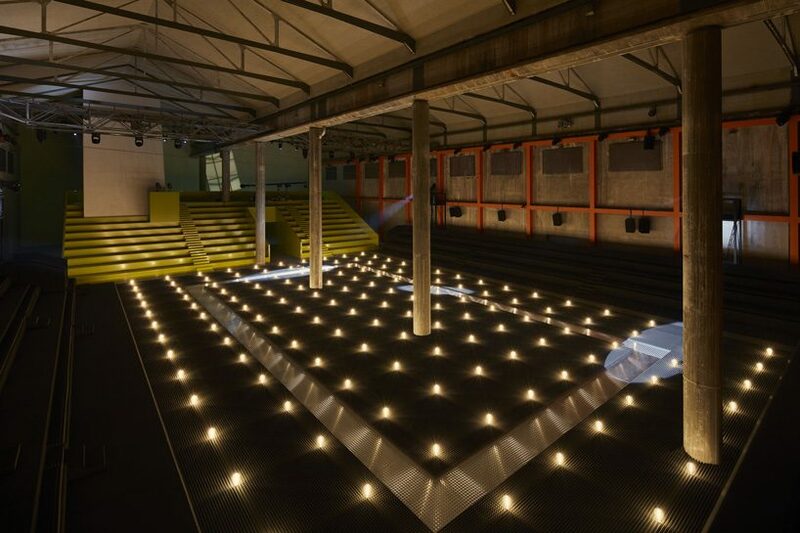 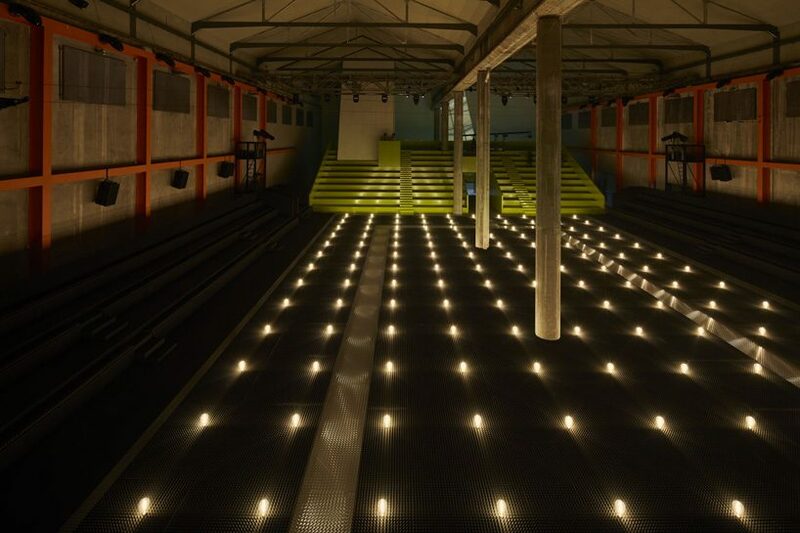 AMO has surrounded the rectangular platform with a series of architectural devices, which are used to sit spectators of the prada show, including a terrace, newly built stages and a balcony. 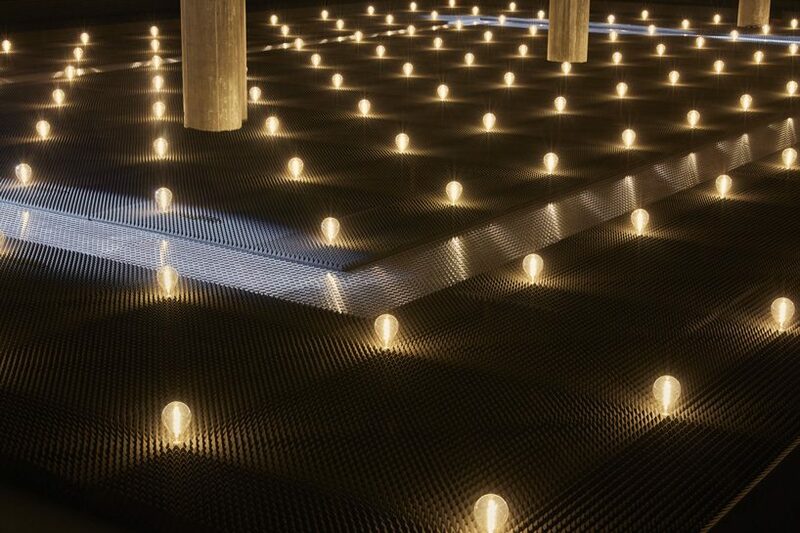 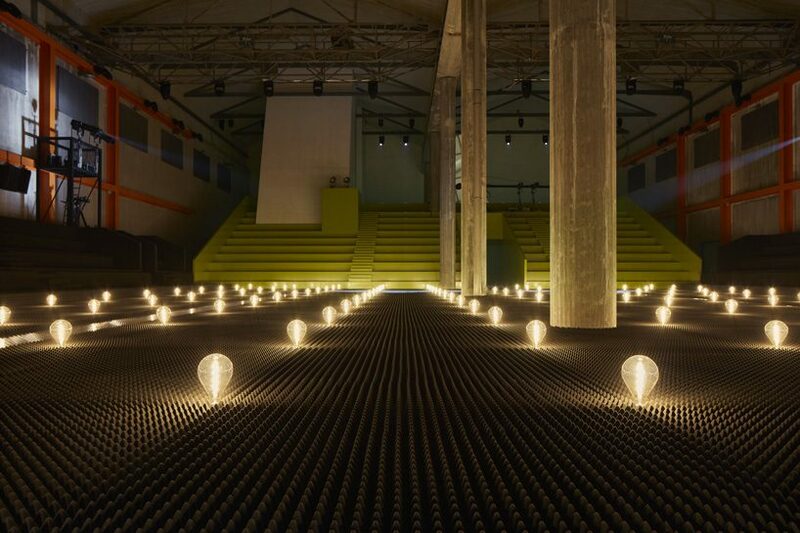 distanced from the crowd, the models walk through the dimly lit terrain made of soft spiky foam. 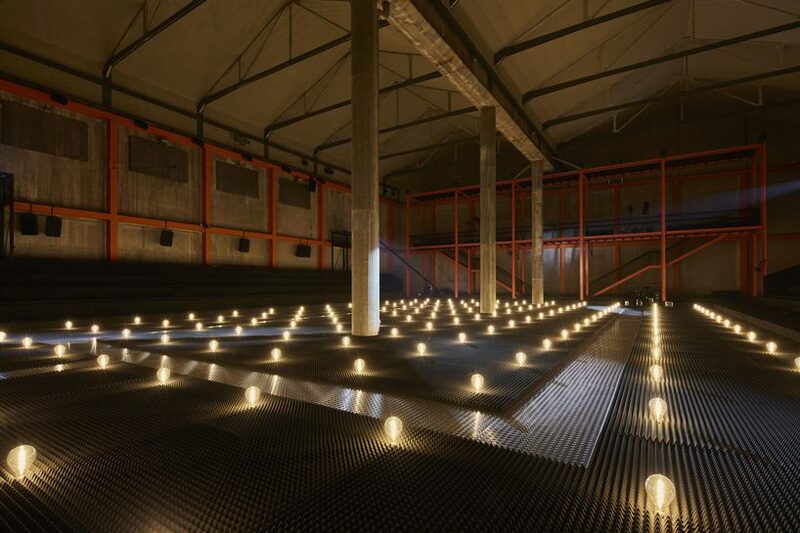 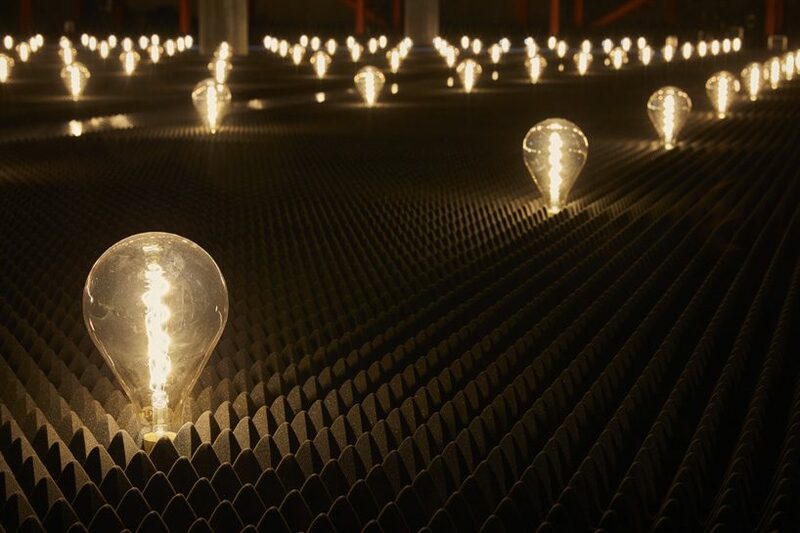 the mysterious, otherworldly atmosphere is further enhanced by a number of dramatic spotlights that add an intimate dimension to the performance.